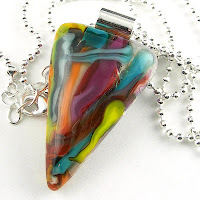 This week's giveaway is from Dawn of Dmalia Designs. 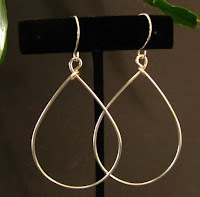 She is giving away this beautiful pair of sterling silver hoop earrings. These hand formed sterling silver hoops would be a great staple for your jewelry collection. Dawn made them from 18 gauge (med heavy) sterling silver wire, wrapped and formed into an oblong-round hoop. The earwires are handmade too, from 20 gauge sterling silver wire. They are lightweight, easy to wear. Length is approx 3 1/8" from piercing to bottom hoop. Contest ends Saturday, March 9th, at 12:00 noon Central. One winner will be chosen by Random.org. Contest ends Saturday, March 9th at 12:00 noon Central. One winner will be chosen by Random.org. The joyful celebration of Purim takes place this weekend, beginning Saturday evening and continuing through Sunday. It's a Jewish celebration of a historic event, when Queen Esther, a Jewish woman married to the king of Persia in the fourth century BCE, successfully thwarted a plot to annihilate the Jews of Persia. Celebrants will gather to hear a reading of the Megilla, or book of Esther, that tells the story; they'll give gifts of food to friends, and also give to the poor; and they'll share a festive meal. The story is often also acted out or performed with puppets, and, as you can imagine, children are much involved in the festivities. Triangles to represent the traditional treat Hamantaschen, a filled cookie with the edges folded over to form a triangle. Haman was the villain of the Purim story, and the reenactments of the story often portray him as something of a goon. The name may actually be derived from the Yiddish word montashn, for the poppyseed-filled pouches, adapted to make a play on the name of Haman. Noisemakers -- traditionally graggers, a kind of spinning rattle -- used to drown out the name of Hamen whenever he is mentioned in the reading of the story. Here we have wooden rattles shaped like guitars. Celebrants also stomp their feet and clap their hands. Festive attire and decor, such as the boy in the mask and the colorful stained glass mobile. The number 14, because Purim is celebrated on 14 Adar on the Jewish calendar. 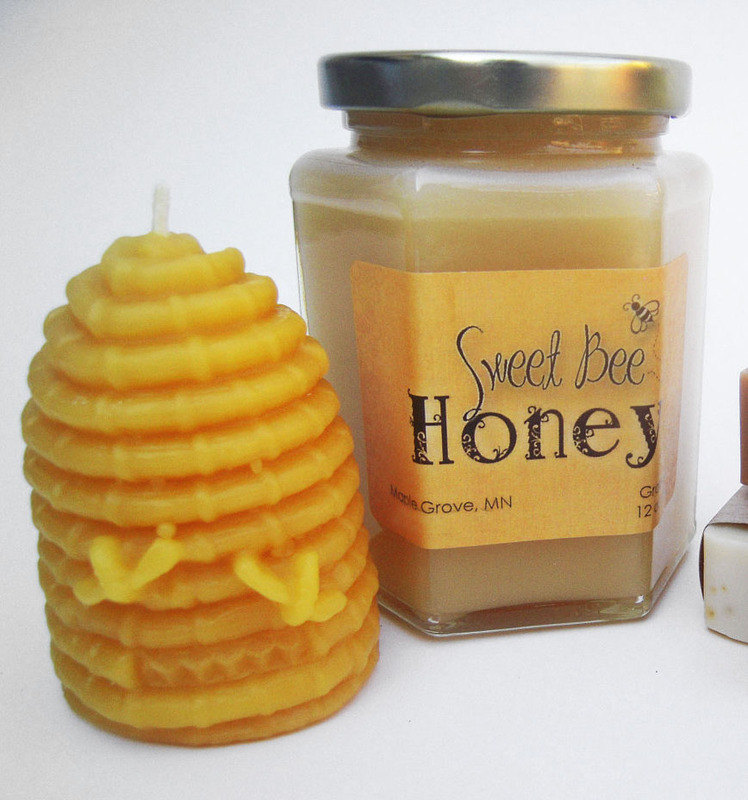 A gift of honey and other items such as a person might give to a friend to mark the occasion. It is also customary to donate to charity on this occasion. The clarinet and other representations of klezmer music, and children dressed in a manner similar to traditional klezmer band members (especially the little boy in the fedora -- does he not look like he should be leading a klezmer band?). 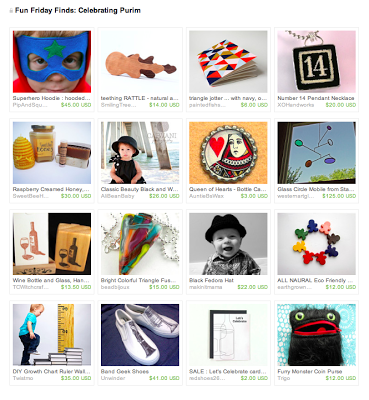 If you visit the collection on Etsy (the link is below the image), you'll find a link to listen to a Minnesota klezmer band playing a Purim tune. Finally, we raise a glass or two of wine, to toast Queen Esther and the happy outcome of the story. Surely we can all share in celebrating that. This week's giveaway is from Brenda of Light Reading. She is giving away one of her exquisite paper drum shade. Brenda created this lampshade with a blueish gray silk-screened mulberry paper from India. It is very zen and would cast a peaceful glow in any room. The floral drum lamp shade is 16 inches in diameter by 10 inches high. The lampshade is backed with styrene for strength and safety then applied to rings and trimmed with white paper tape. It is a large shade with washer top, your lamp must have a harp. Also suitable for hanging pendant kits that fit washer top shade rings (not Ikea). How to Enter: Visit Brenda, pick your favorite item and leave a comment on this post about it. (Scroll to bottom of post and click on Comments) Make sure you include your email address so we have a way to contact the winner! 7. Become a Facebook Fan of Light Reading. Comment back here with your Facebook name. Existing fans just leave your Facebook name here. 8. Follow Brenda's blog. Leave a comment here letting us know you are a follower. If you are already a follower, leave a comment anyway, as each comment is an entry. Contest ends Saturday, March 3rd, at 12:00 noon Central. One winner will be chosen by Random.org. "Heart disease is the leading cause of death for both men and women, but heart disease is preventable and controllable" www.cdc.gov. February isn't just for love, it's American Heart Month. 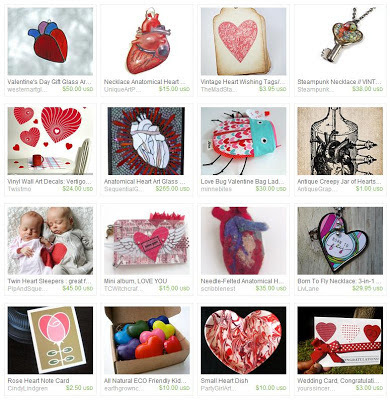 Take a look at these amazing hearts created by lovely MN artists! . This week's giveaway is from Kris of Rainy Day Yarn Shop. She is giving away this scrumptious, colorful felted jungle soap. 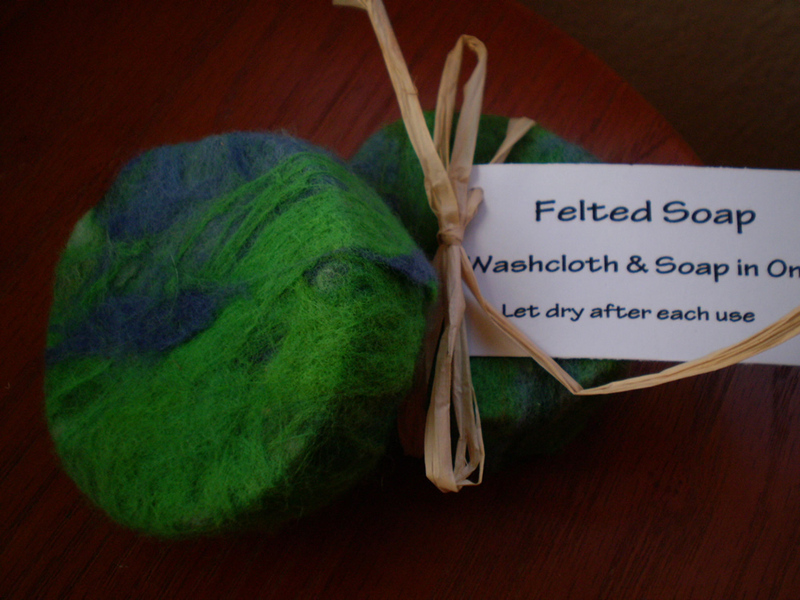 Kris made this felted soap with a mix of soft green/blue merino wool (the same wool as in her Jungle Handspun yarn). The wool is felted around a bar of Kris's handmade Sage Spice cold process soap, a lightly scented spice soap. Each bar weighs about 4 oz. Felted soap is like a soft cloth that lathers as you wash with it. This bar of soap will last longer than a regular bar would and when you are finished you will have a felted pouch you can use (it will smell good too). Contest ends Saturday, February 23rd, at 12:00 noon Central. One winner will be chosen by Random.org. Please leave each in a separate comment, as each comment is an entry (To qualify for extra entries you must do step one above). And be sure to include your email address. 7. 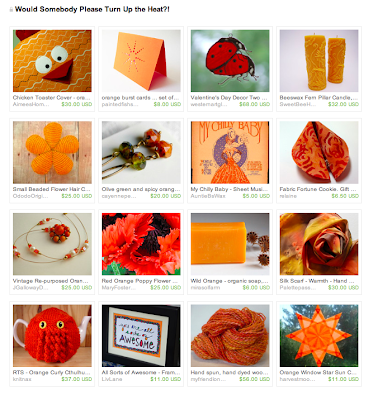 Become a Facebook Fan of Rainy Day Yarn Shop (aka BathNBeads). Comment back here with your Facebook name. Existing fans just leave your Facebook name here. 8. Follow Rainy Day Yarn Shop (aka BathNBeads) on Twitter. Comment back here with your Twitter link. Existing followers just leave your Twitter link here. Fun Friday Finds ~ Seeing Red! This week's giveaway is from Cindy of Cindy Lindgren Art. 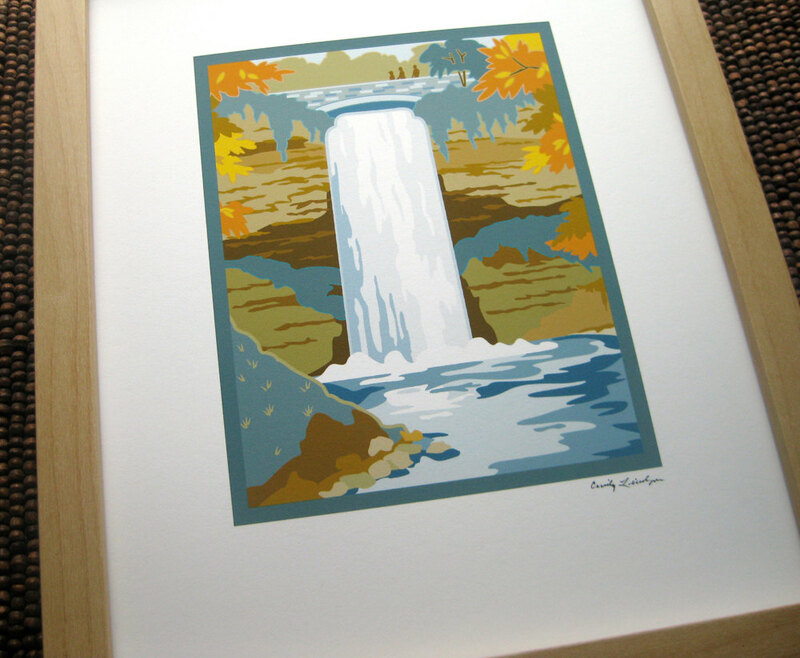 She is giving away one of her beautiful illustrations of "Minnehaha Falls". How to Enter: Visit Cindy Lindgren, pick your favorite item and leave a comment on this post about it. (Scroll to bottom of post and click on Comments) Make sure you include your email address so we have a way to contact the winner! 7. Follow Cindy Lindgren on twitter. Comment back here with your Twitter link. Existing followers just leave your Twitter link here. 8. 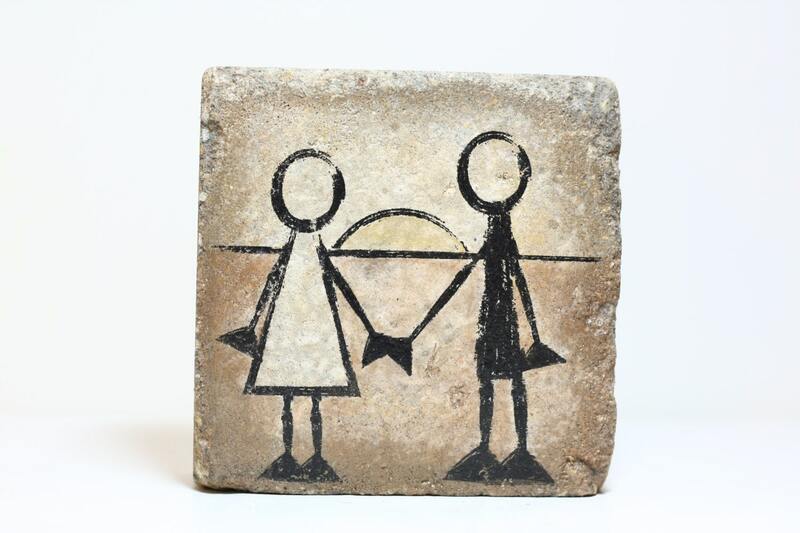 Become a Facebook Fan of Cindy Lindgren. Comment back here with your Facebook name. Existing fans just leave your Facebook name here. 9. Follow Cindy's blog. Leave a comment here letting us know you are a follower. If you are already a follower, leave a comment anyway, as each comment is an entry. Contest ends Saturday, February 16th, at 12:00 noon Central. One winner will be chosen by Random.org. The monthly theme can mean many different things to many different people: it can be literal, a technique, an interpretation, a piece, use of a color, etc. Voting ENDS at midnight on FEBRUARY 15th. If I were a betting person (and I'm not; I'm a Methodist), I'd put my money on the groundhog not seeing his shadow whether we have clouds or sun tomorrow, because it's do darn cold to even come out of the den! I know I'd rather stay in my den when the temps dip this low. But these HandmadeMN members are doing their best to heat things up around here, in more ways than one. Click on the treasury to get a little closer and add your comment to the prognostications; you might even be able to warm your hands over these fiery handmade goodies. Think warm thoughts! And remember, we've only got about six more weeks of winter, any way you look at it.